The OS‑361DT is a ceiling mount low voltage dual technology occupancy sensor designed for area lighting, or HVAC control, for energy efficient building management. 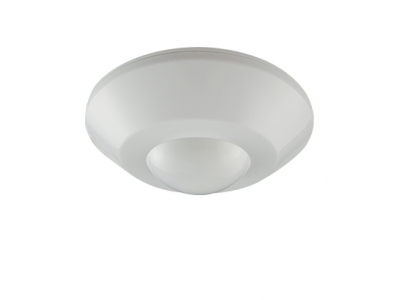 The sensor combines an omni‑directional quad element Passive Infrared (PIR) sensor, a state‑of‑the-art High Frequency Doppler (HFD) sensor and advanced signal processing firmware to perform superior occupancy sensing capability. The OS‑361DT is ideal for areas where motion may not be easily detectable by a single technology sensor.